This is the form for requesting a used (not refurbished) Deutz-Fahr 11440 TTV crankshaft pulley that has been used previously (possibly without warranty). You can also request or offer new or refurbished Deutz-Fahr 11440 TTV Crankshaft pulleys. As much as possible. Year of manufacturing, engine type, serial number or even better, the Deutz-Fahr 11440 TTV crankshaft pulley partnumber. Can I order a used crankshaft pulley directly online? No, this is not a Deutz-Fahr parts webshop, but a service to connect part buyers and sellers. Because it is getting harder and harder to get Deutz-Fahr Crankshaft pulleys other than through your dealer, with a hefty markup. 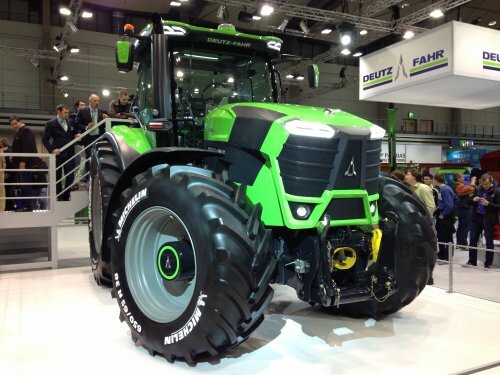 That is why we created this Deutz-Fahr parts exchange. Do you have Deutz-Fahr 11440 TTV Crankshaft pulleys for sale or are you looking for some parts? Fill in the form on these pages to add your offer (or request). As soon as we can find the used part amongst our Deutz-Fahr part suppliers we will send you a quote via e-mail. Next to United Kingdom, TractorFan is available in 25 countries, but the spare part trade operates worldwide so it might be worthwhile to request a quote from all around the globe. So if you need a new, used or refurbished Deutz-Fahr 11440 TTV part, please fill in the form.